Dr. Shalji Sreenivasan, Specialist Orthodontist, a graduate of one of the finest dental colleges in India, The College of Dental Surgery, Mangalore operating under the umbrella of Manipal Academy of Higher Education. He received his Masters in Orthodontics from University of Kuopio, Finland. 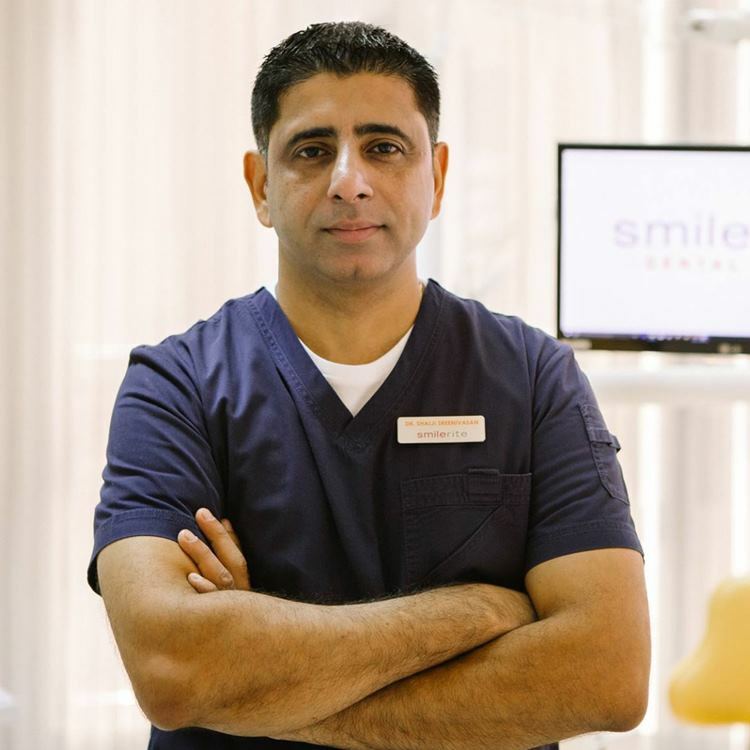 He has been practicing as a specialist orthodontist in Abu Dhabi for the past 20 years in various private and government clinics including the dental division of Sheikh Khalifa Medical City and ADNOC Medical services. Dr. Shalji provides all kinds of orthodontic treatment for children and adults including multidisciplinary orthodontics, and the latest invisible braces namely the "Invisalign" treatment. Dr. Shalji Sreenivasan is a member of the American Association of Orthodontists and a fellow of the World Federation of Orthodontists.